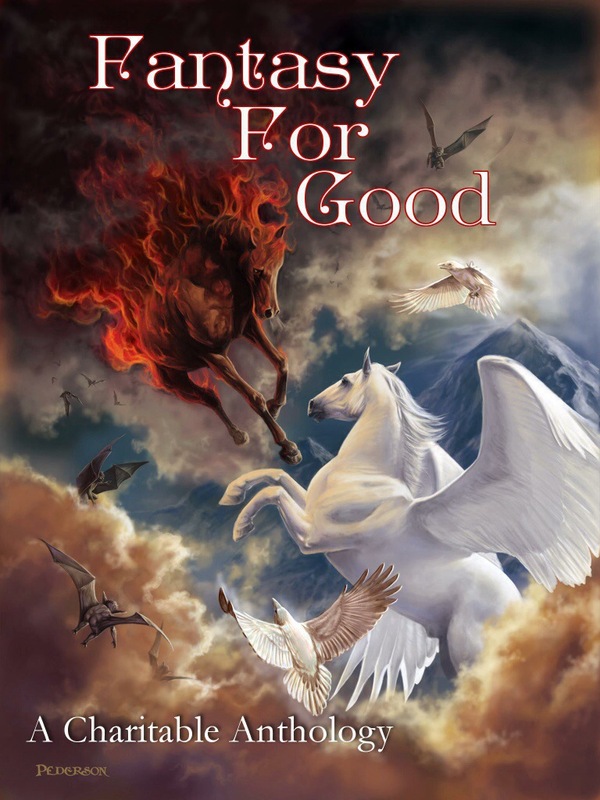 Very pleased to announce my story “The Edge Of Magic” will be included in the upcoming charitable anthology “Fantasy For Good”, edited by Richard Salter and Jordan Ellinger, published by Nightscape Press. Net proceeds will be going to Colon Cancer Alliance. The anthology’s contributor line-up includes some of the best known names in fantasy writing. Frankly, I can’t believe I’m sharing a ToC with these people: Michael Moorcock (I grew up reading Elric, Corum, Von Bek, et al: they’re a part of my writerly DNA), Piers Anthony (again, I grew up reading early “Xanth” novels, “Kirlian Quest”, “Blue Adept”, etc. ), Alan Dean Foster (before “The Empire Strikes Back” was more than an improvised twinkle in George Lucas’ eye, the only Star Wars sequel that existed was Foster’s “Splinter Of The Mind’s Eye“), Neil Gaiman, Nnedi Orokafor, Carrie Vaughn, Jay Lake…the stellar list goes on (see more here). Oh, and there’s also some guy called George RR Martin, who’s recently enjoyed some modicum of success with a popular long-form tale involving dragons, knights and zombies — but to me, he’ll always be the author of “A Song For Lya“, “Sandkings“, “In The House Of The Worm”, “The Way Of Cross And Dragon“…some of my very favourite SF stories. Oh, and the anthology cover. Lookit that cover by Paul Pederson. Judge the book by it. Go on: judge it. So yeah. Many, many reasons to rush out and buy multiple copies of this anthology when it comes out this summer. I’m honoured and humbled to be a small part of it.